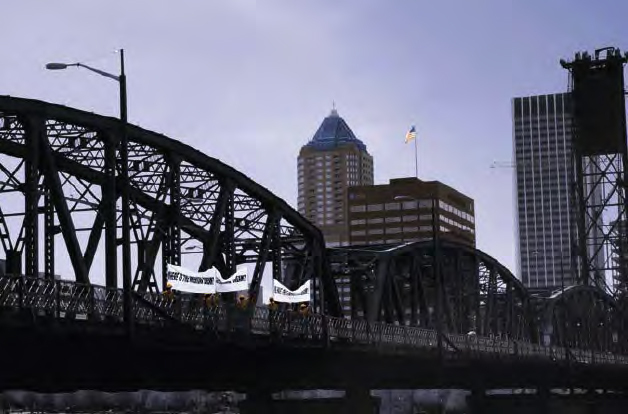 From the Pacific Ocean, up the Columbia River, down the Willamette River, they finally arrive in Portland Harbor. 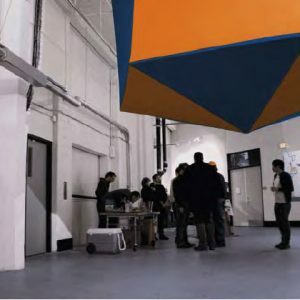 Global Alien will land in the city – And they are going to be loud! 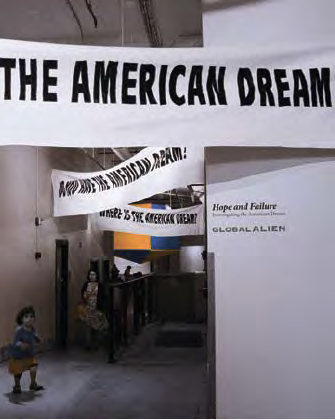 At galleryHOMELAND the exhibition “Hope and Failu-re” by the artist group Global Alien works on the idea of the American Dream today. 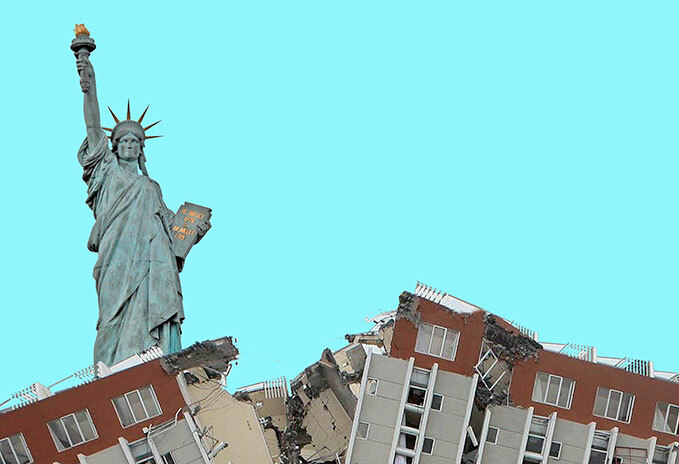 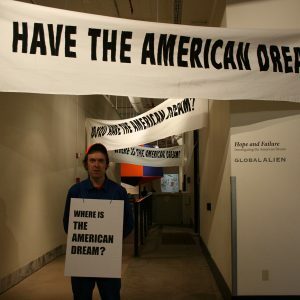 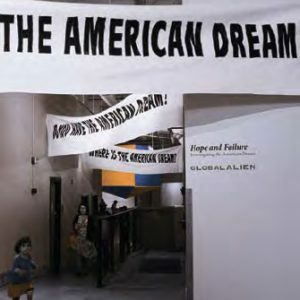 In the time of global interconnec-tions and flows of media-representation, how does our idea of the American Dream remain? 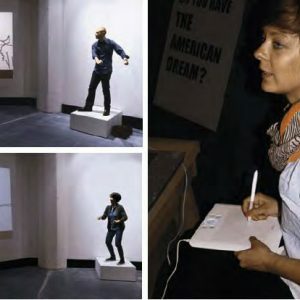 All the actions will show different approaches sketching these dreams. 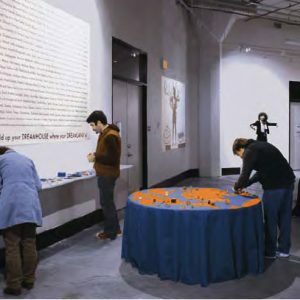 The group will stage themselves self-ironically as “inves-tigators” and work together with the public of Portland. 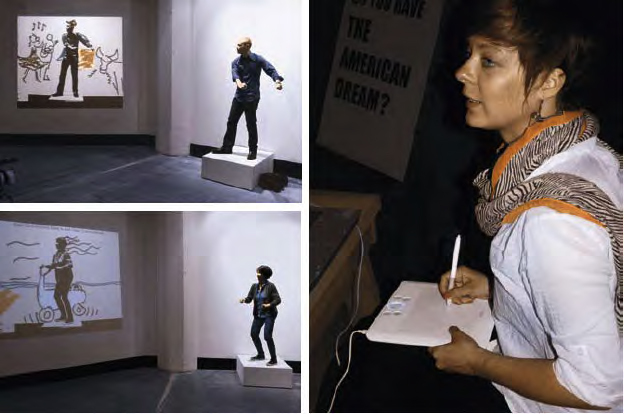 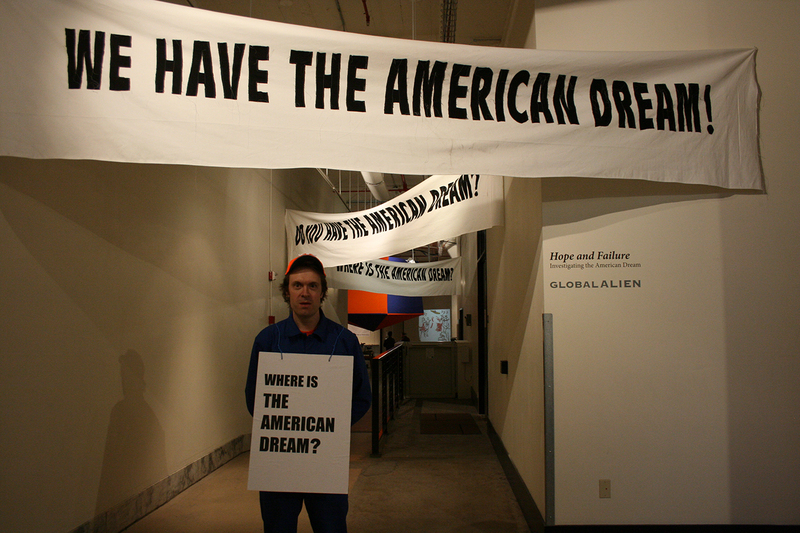 The first performance on the 3rd of May is about direct reminding and investigating the American Dream. 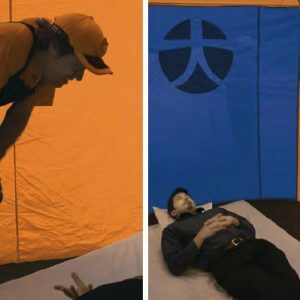 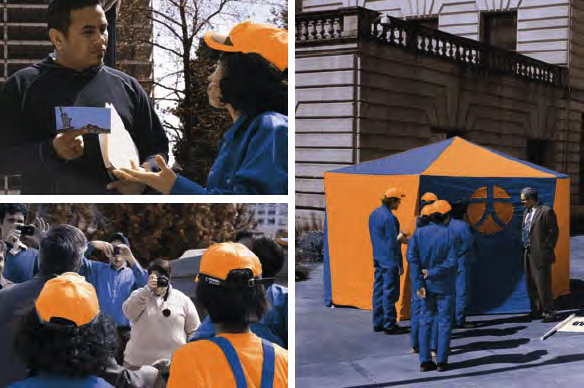 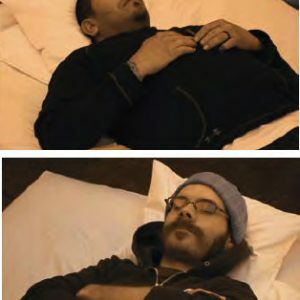 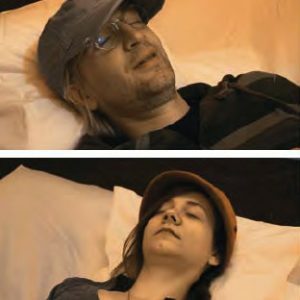 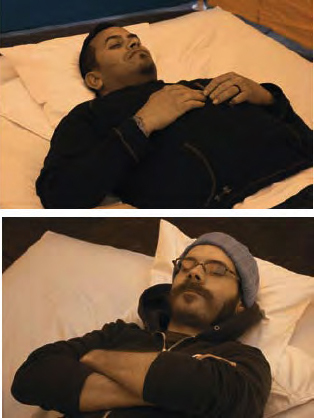 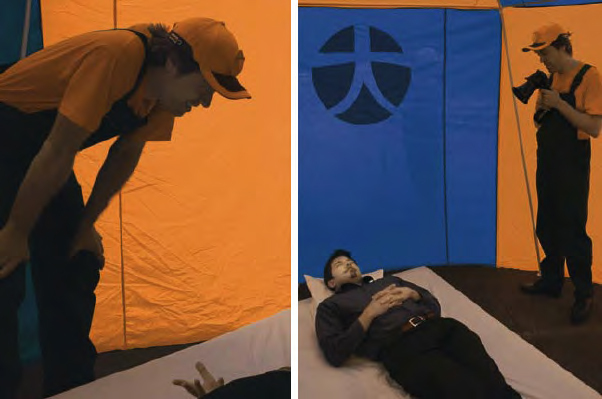 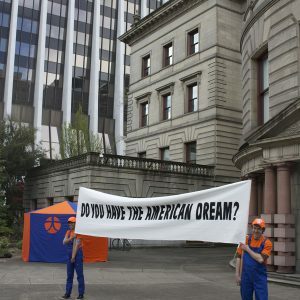 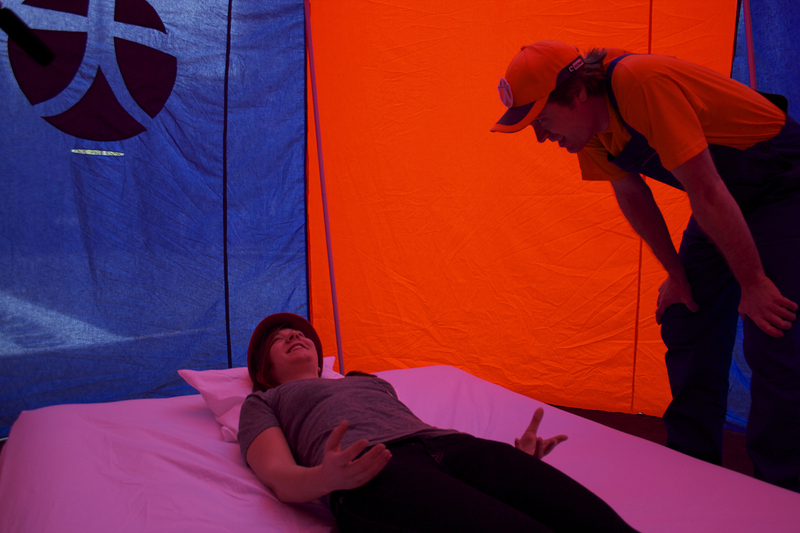 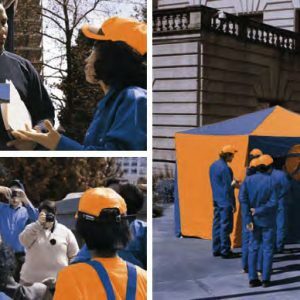 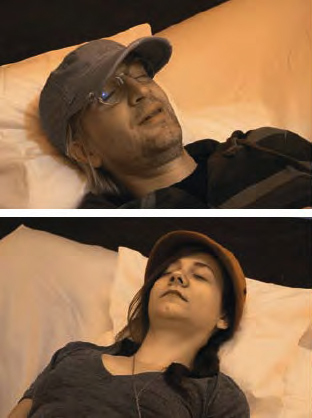 During lunchtime, when people have a restful nap, the group will invite the public of Portland to come inside their tent in front of the City Hall, take part in a short hypnotic performance to voice their own humorous and ironical American Dream. 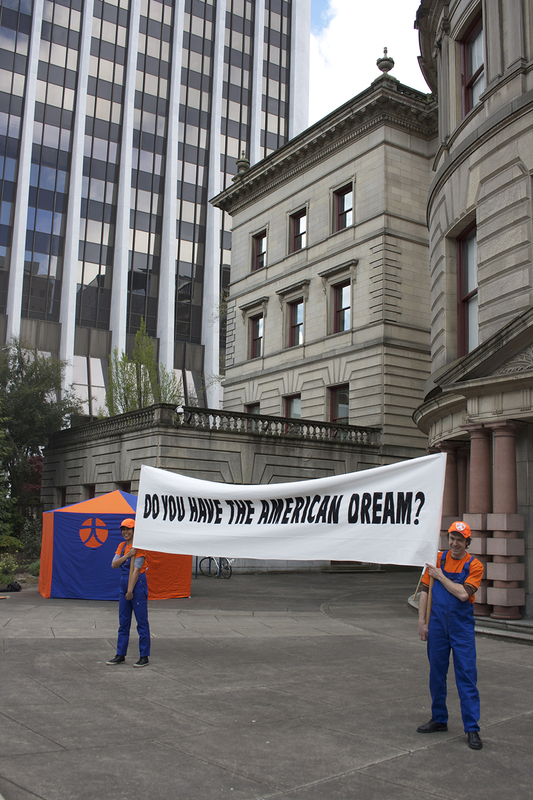 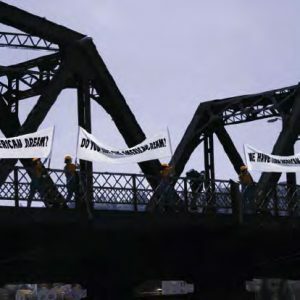 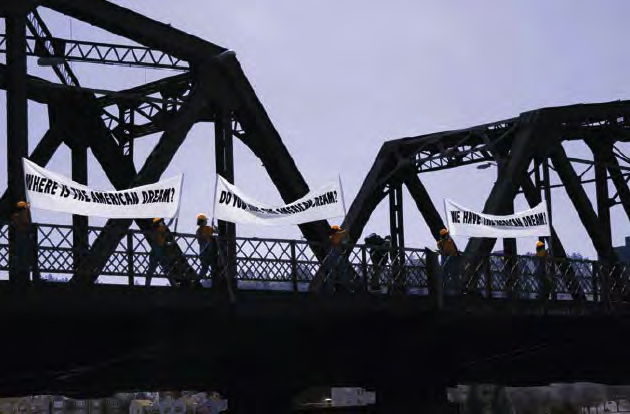 The next day, on the 4th of May, the second performance will take place on Columbia River, ‘The American Dream’ boat – performance The results of the performances can be seen from 6th of May until 28th of May, 2011 at galleryHOMELAND. 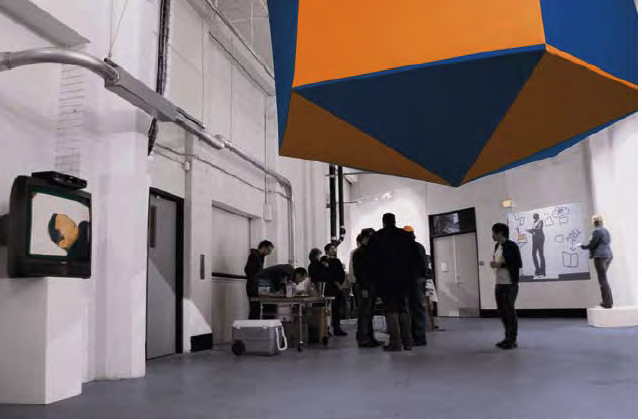 Global Alien will leave the idea of a classical exhibition behind and transform the space of galleryHOMELAND into a colla-borative and creative platform. 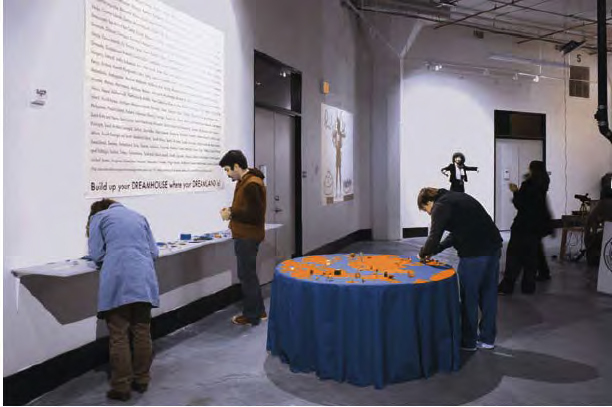 The visitors will be able to actively participate and become a part of the process of playfully reinventing the American Dream.